1) Dial *#06# on your iPhones keypad. A screen will pop up showing the IMEI number. 2) Go to Settings - General - About. The IMEI number will appear at the end of the list. Please select the correct model of your iPhone. Please make sure to select the ORIGINAL service provider your phone is locked to. Failure to select the accurate service provider will result in unlocking the wrong phone. If you are not sure what provider your phone is from,please select 'iPhone Network Check' from the list. 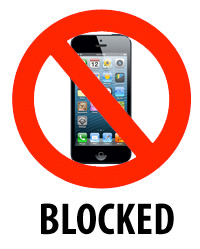 With our blacklist checking service you can find out whether an iPhone you own or looking to purchase has been reported as lost or stolen by the original owner or wireless carrier. If an iPhone is blacklisted (reported lost or stolen), in most cases it will be impossible to unlock it or use it with any network provider in the world (including the original provider it is locked to). To run a blacklist check, simply provide us with the IMEI number of an iPhone device and, within few hours, we will email you the blacklist check result letting you know if the IMEI number is blacklisted or clean.